Help and programs just for Trainers! • Unsure what to do and where to start? • Unsure where you fit in the confusing trainer marketplace? • Really want to help people, but don’t know the best way? • Need confidence in applying your skills? • Do some of your clients have you stumped? • Do you need new ideas and techniques? • Are you a club trainer thinking of starting your own freelance business? 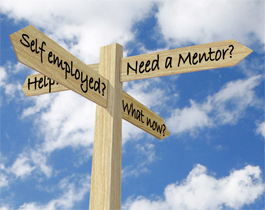 Our personalized Apprenticeship Mentoring & Business programs are designed and presented by Arleigh Winokur for newly certified trainers who are unsure how to go get started, and for experienced trainers who want to expand their private and freelance work, free of the health club circuit. Arleigh, known as the “trainer of trainers”, has been coaching trainers for years to help them better hone their skills. • Help in “sizing up” new clients and design programs based around not just what your client might want, but what they truly need. • Assistance with marketing, promoting and selling personal training, including how to use effective “jargon” with various types of individuals in sales presentations. • Advice on how much to charge for your services and how to differentiate when charging for “in-home” services versus private or member-based facilities. • How to give clients incentive to purchase larger personal trainer packages. • Advice on how to act confidently even when you feel unsure.